Notes from the Garden cubit: Looking Beyond the Garden: How did all those plants come to be? Looking Beyond the Garden: How did all those plants come to be? This is the second in a series of articles looking beyond my garden to see the bigger picture. In the first article, Looking Beyond the Garden: A Convinced Gardener Considers Climate Change (to access, click on the word "Articles" in the column to the right), I focused on the planet Earth and one of the ways in which its atmosphere is affected by what goes on here. The rest of the series ventures beyond our atmosphere into outer space to consider some of the fantastic discoveries made by modern physics. ow did the plants in my garden, me the gardener, and for that matter everything else on Earth come to exist? Ask a physicist, and he (or she in my case) will tell you. I recently attended a lecture given by Professor Usha Malik, a cosmologist (a physicist who studies the origin and eventual fate of the Universe) in the Department of Physics at The University of Iowa. To say it was an eye opener for me is a gross understatement. I was astounded. I had a vague notion of what the Big Bang was, but I was not prepared for the amazing work that has been done by whole teams of physicists in recent decades and even right at the present moment. Physicists study the laws that govern nature. They work with ideas, equations, and models to uncover new laws that can explain natural phenomena or predict the results of experiments. One of the greatest discoveries ever, not only in physics but in the whole world of science, occurred during the course of the 20th century. It became clear, through telescopic observation and data collection, that the Universe was not static but was actually expanding. 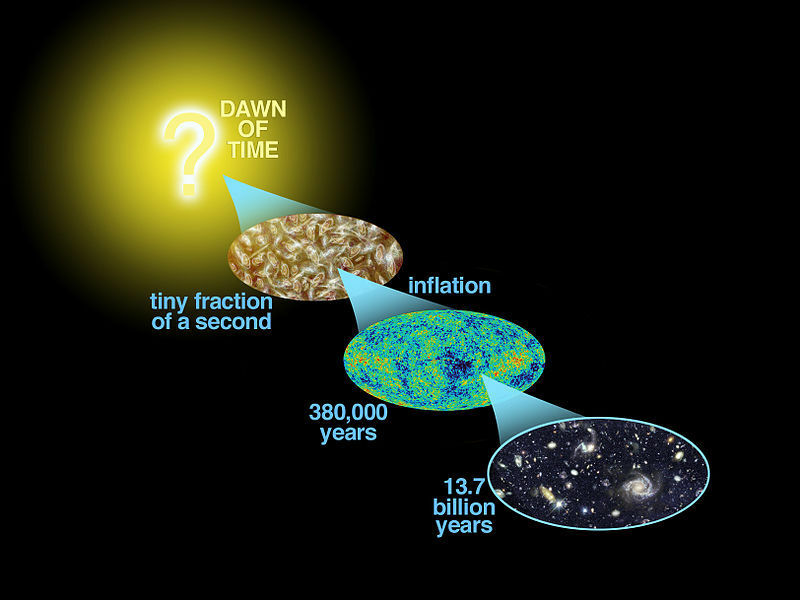 Furthermore, such expansion was the result of a “big bang” 13.7 billion years ago. What was the nature of this “bang?” Physicists believe that an infinitesimally small point containing all the energy in the Universe suddenly exploded violently, releasing a burst of radiation (light waves) and intense heat that immediately started to expand at great speed. As it expanded and began to cool—space is a very cold place—particles formed that interacted with one another, sometimes in violent collisions. These interactions created all the matter that exists in the Universe. They created atoms and the particles within them. Continuing interactions created the chemical elements, nebulas, galaxies of stars, planets, and ultimately life. 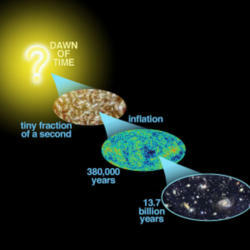 The Big Bang also created time and space. Neither existed before this cataclysmic event. It is difficult for us as earthlings to conceive of a state of nothingness out of which something concrete developed that we can see, feel, taste, smell, and hear. More about this in a future article. Here, in some detail*, is my understanding of how physicists currently view the creation of the Universe. Using equations, calculations, visual observations, and experiments, they have been able to work their way backward in time to milliseconds after the Big Bang and to establish a chronology. Events unfolded very rapidly at the beginning, so epochs are very short, less than a second. As the Universe continues to expand, the epochs are much longer. Following is a timeline physicists have worked out. At this extremely early stage after the explosion, not everything is known or verifiable yet. The temperature (or energy) is so high that electromagnetism, gravitation, and nuclear interactions are all still unified in one fundamental force. There are several theories that detail the physics of this period, but they differ radically. Much work is left to be done to understand exactly what went on in this phase. The Universe continues to expand and cool (unheated space can be more than -400 degrees F). As it does so, forces begin to separate from each other. Gravitation separates from the other forces mentioned above. At the end of this era, what are called strong and electroweak forces are still united. These forces are two of the four fundamental forces in physics. The other two are gravitation and electromagnetism. The temperature of the Universe is now low enough to separate the strong force from the electroweak force. By the end of this epoch, the fundamental interactions of gravitation, electromagnetism, the strong force and the weak force take the forms in which we find them today. And most important, the fundamental particles now have mass. Existing quarks are still unable to bind together because the temperature is too high yet. A quark is a particle that is a basic component of matter. In the next stage, quarks will combine to form complex particles called hadrons, two of which are protons and neutrons. These two will become components of atoms. This period is known as the Hadron Epoch. Enough cooling has taken place so that quarks, as mentioned above, combine to form hadrons, including protons and neutrons. Known as the Lepton Epoch, cooling at this stage causes the majority of hadrons to be annihilated, but not protons and neutrons. Most of the mass or matter in the Universe is now composed of leptons. A lepton is a fairly stable particle that does not participate in any strong interactions. The most important of these leptons are electrons. Electrons are found in atoms and are directly tied to almost all chemical properties. In this period, the Photon Epoch, the Universe is dominated by photons. Photons are bundles of electromagnetic (or light) energy. Photons are always in motion, moving, as one might guess, at the speed of light. They interact with protons, electrons and nuclei. The temperature of the Universe at the end of this era falls low enough so that atomic nuclei begin to form. Protons and neutrons continue to combine to form the nuclei of atoms. Cold dark matter is thought to interact here with electromagnetic radiation. Its particles move more slowly than the speed of light. Approximately 80% of matter in the Universe is considered to be dark matter. Since it is not visible, its existence and properties must be deduced from its gravitational effects on visible matter. Structures begin to grow, with small objects collapsing and merging to form ever larger and more massive objects, setting the stage for the birth of stars and planets. Hydrogen and helium atoms begin to form as the density of the Universe continues to decrease, due to expansion. Stars and galaxies form. Quasars, very luminous, compact regions, surround black holes at the centers of galaxies. Black holes are areas in space that have such an intense gravitational field that no matter or radiation can escape. During this era, at about 4.6 billion years ago, our solar system began to form. Molecules are present as clouds of hydrogen and also contain traces of other elements. These clouds undergo a process that causes them to collapse and form a large spherical object in the center. This would eventually become the sun. An accretion disk (an area, that is full of particles collected from the space surrounding the sun) forms around this young sun. The particles in the disk coalesce into numerous objects, all smaller than the sun. These become our planets, asteroids, and comets. The expansion of the Universe continues to accelerate. A cosmic web is present, thought to be the largest structure that will ever form in the Universe. This web binds galaxies in the Universe together like a 3-d spider web. It is nearly invisible, detected only through special lens filters on telescopes. The present accelerating expansion of the Universe prevents any new structures that are bound by gravitation from forming. Excitement builds as the Higgs boson is created by the Hadron Collider, built in Switzerland by CERN from 1998 to 2008. The boson’s existence was confirmed just this year (2013). It is the subject of my next article in the series. The elephant in the room when discussing all this heady stuff is, as one might suspect: What, if anything, existed before the Big Bang? That will be the subject of my final article in the series. *A truly scientific discussion of the chronology would be infinitely more complex and would be beyond my ken and that of any other layperson. Just laying out the evidence for each of the eras discussed and how physicists came to know that evidence could fill volumes. My intention is to give the reader an overview of how the Big Bang unfolded and how those properties of the Universe (galaxies, stars, planets, chemical elements, and ultimately life), with which we are all familiar, came into being. 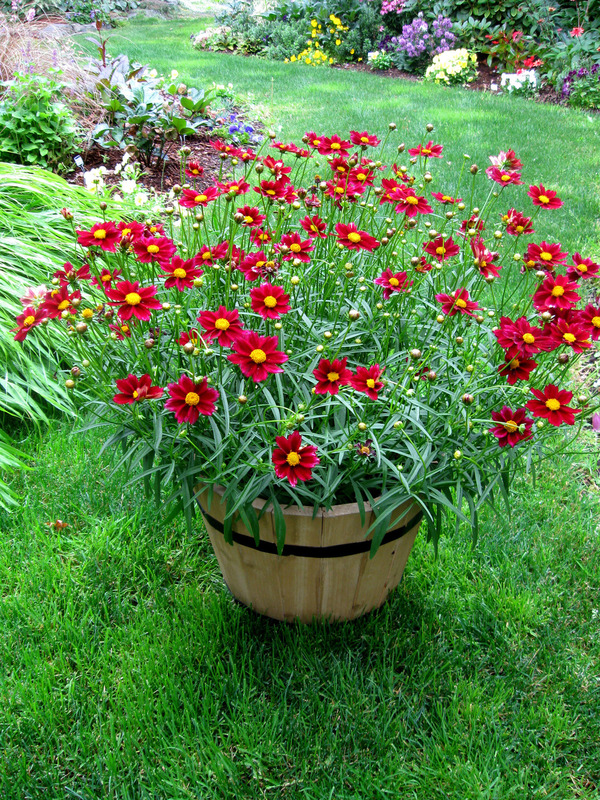 If you garden in Zones 5-9, you can celebrate the Universe in your garden with the new Big Bang™ Series of coreopsis. 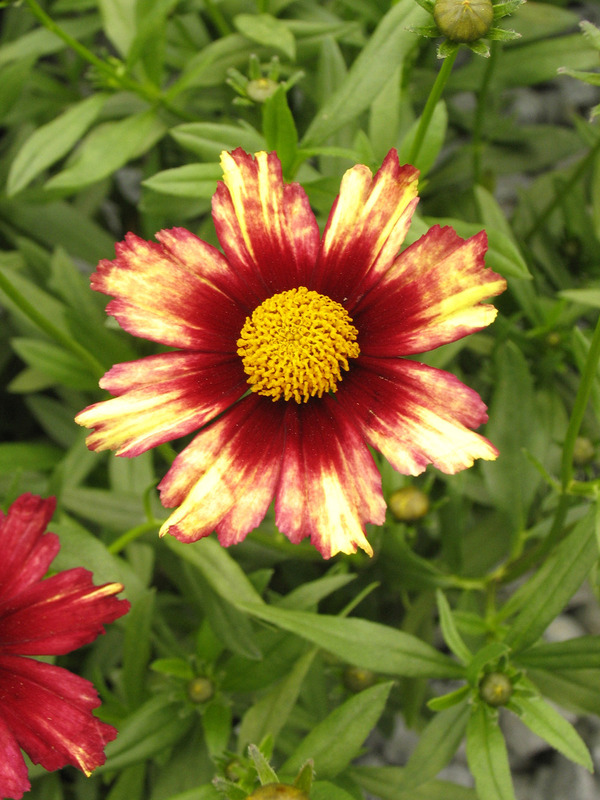 Gorgeous blooms with exciting new colors, look for them at your favorite garden center this spring. 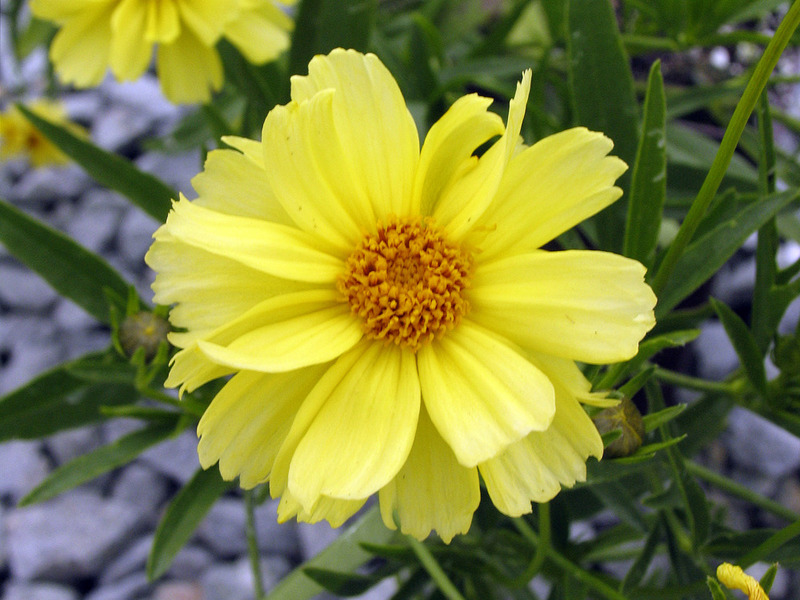 The Big Bang™ series is the product of 10 years of intensive breeding by Darrell Probst, plant explorer and hybridizer extraordinaire, involving as many as 8 U.S. native coreopsis species. 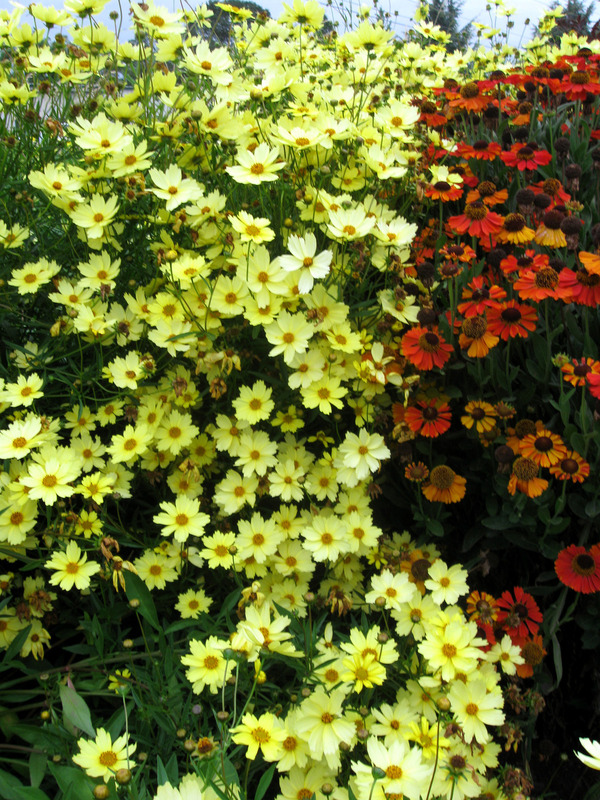 The series was introduced by Sunny Border Nurseries. The photos are courtesy of Skagit Gardens, a wholesale nursery in the Skagit Valley of Washington. 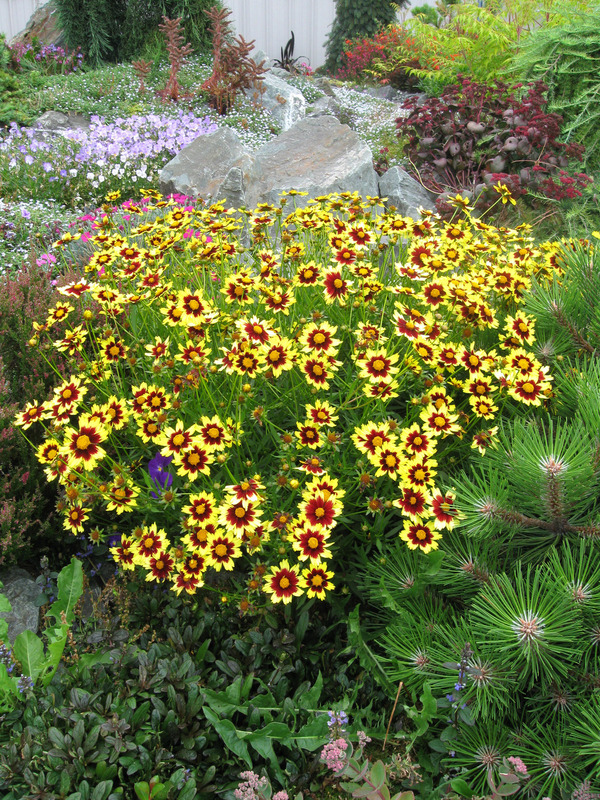 Coreopsis and many other plants grown there are overwintered outside to provide perennials that are vernalized, sure to bloom the first year in the garden, and better able to withstand the rigors of spring frost than are those that are grown in greenhouses during the winter. 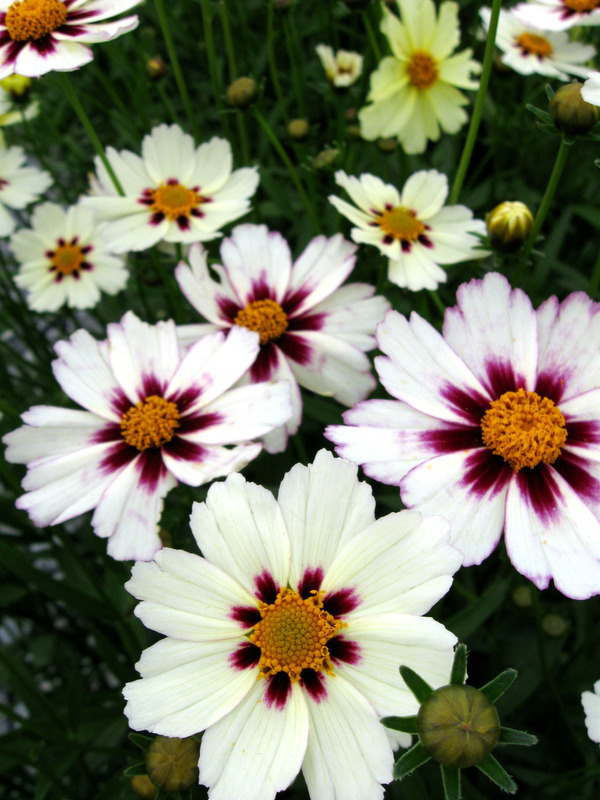 Another way to celebrate the cosmos in your garden is with—well, cosmos. 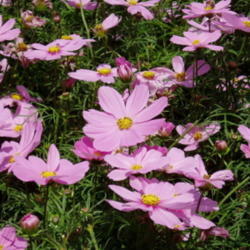 Cosmos is an annual native to scrub and meadowland in Mexico. Some species are also found in the southern U.S. and in Central- and South America. 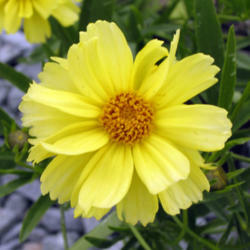 Although not closely related, the blossoms are very similar to those of coreopsis. The word cosmos comes to us from the Greek, meaning "a balanced and orderly universe," somewhat of a misnomer these days, given our current knowledge of a universe that is anything but balanced and orderly. 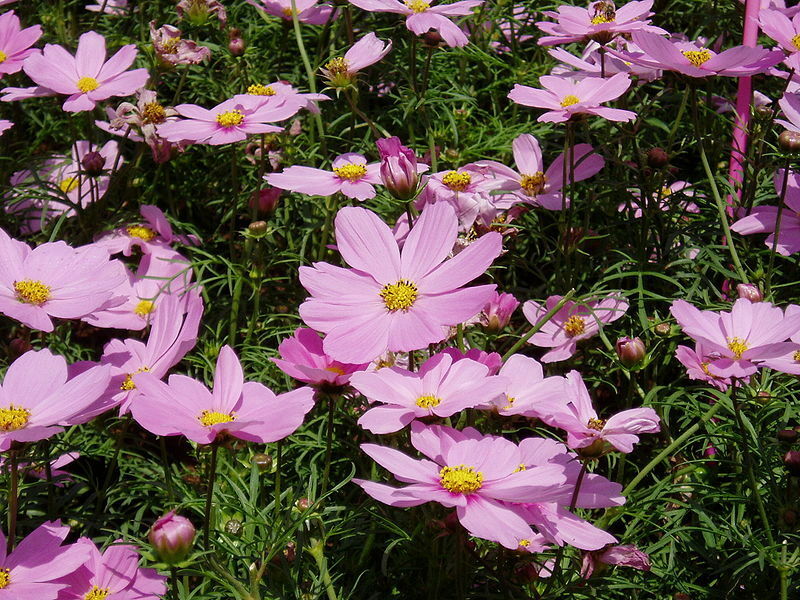 Spanish priests in Mexico grew cosmos in their mission gardens and named it. 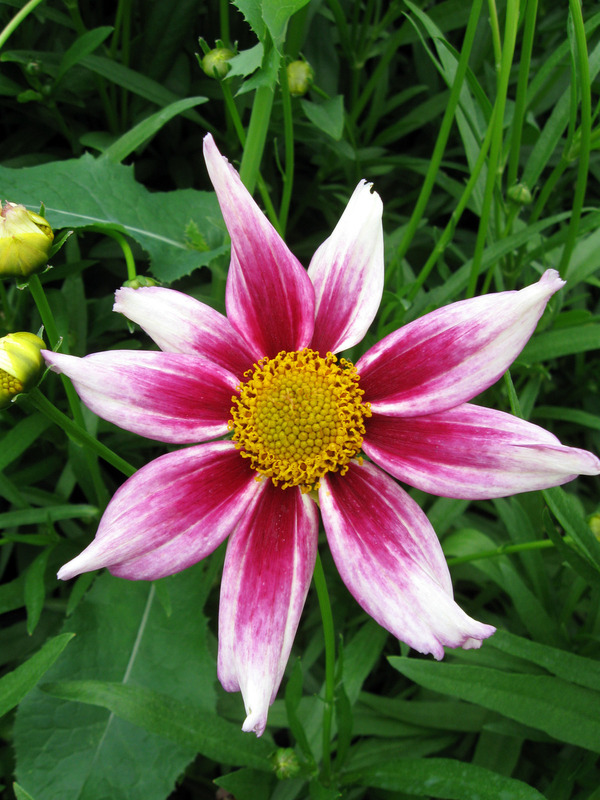 The evenly placed petals reminded them of what they considered to be a harmonious and ordered universe. 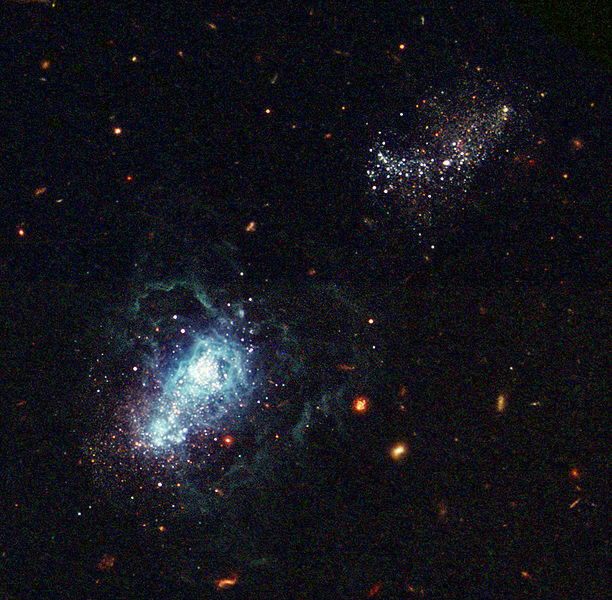 Graphic, forming galaxy, and Cosmos bipinnatus are courtesy of wikipedia.org and used under the terms of the GNU Free Documentation License. "An enthusiastic gardener for over 50 years, my first plant was a potted Ponderosa Lemon tree ordered from a comic book ad at age 15. I still have it, and it’s still bearing lemons! My wife and I garden on 3/4 of an acre, both flowers and vegetables. Our garden, named Cottage-in-the-Meadow Gardens, is private and is listed with the Smithsonian Institution in its Archives of American Gardens. It is also on the National Register of Historic Places. We garden organically and no-till. Our vegetable garden contains a seed bank of vegetables brought to this country from Germany in the mid-1800s by my ancestors. My latest book, Gardening the Amana Way, is available at Amazon.com.